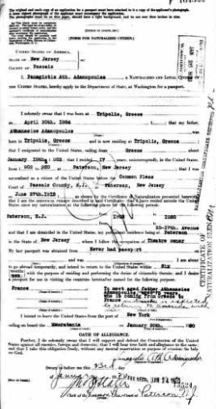 Ancestry.com has a database titled "U.S. PASSPORT APPLICATIONS, 1795-1925". A search for all passport applications for people born in Greece resulted in 7,725 results. You will be able to see a copy of the actual application, including a photograph of the person, in most cases. 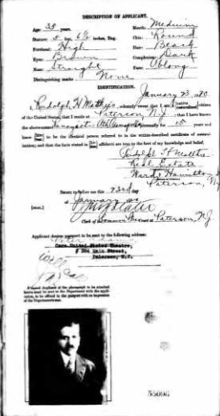 For those of you who do not have a subscription to Ancestry.com, remember that you can access it for FREE at most public libraries.